As opposed to the world weary quote by actors and actresses, marketing companies enjoy nothing more than associating animals and children with Chips & Crisps companies. And let's face it, what would the world of Mascots be without animals? Arguably one of the most famous animal mascots in the US, is the dog formerly known as Spot. 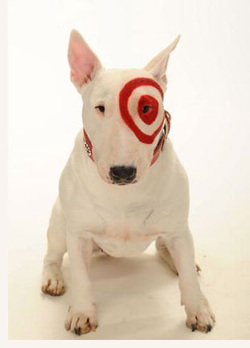 The Target dog is now known as Bullseye, and the latest incarnation is a Bull Terrier called Nikki, who lives in California with her owner. Target's home brand of Crisps, Archer Farms, eschews the usage of Bullseye on its Chips packaging. If that seems a little against the grain for a Potato Chips company. After all, it's a fairly easy consideration when designing product packaging. Target's marketing company must have their reasons (either that, or they are hopeless), but it is a marketing facility that the far smaller company that produces the Salty Dog range of Crisps does not overlook the possibilities of. Interestingly the same people have taken a similar approach with their Darling Spuds range of Crisps. Mister Bee closed in 2011, but brilliantly for all Chips & Crisps fans the company was saved. Along with it, the classy and refined spokes-creature in its top hat and tails. Originally founded in 1951, the sophisticated age transferred well to its Mascot. Hopefully he will keep his top hat when a much needed re-design occurs. Granny Goose is another established company that has enjoyed its highs and lows over the years, but always comes back fighting and kicking. It doesn't really matter what changes the spokes-creature undergoes, it will always be relevant when associated to such a strong brand name. The image on the right is a very good example of the market that can build up around collectables and artefacts. 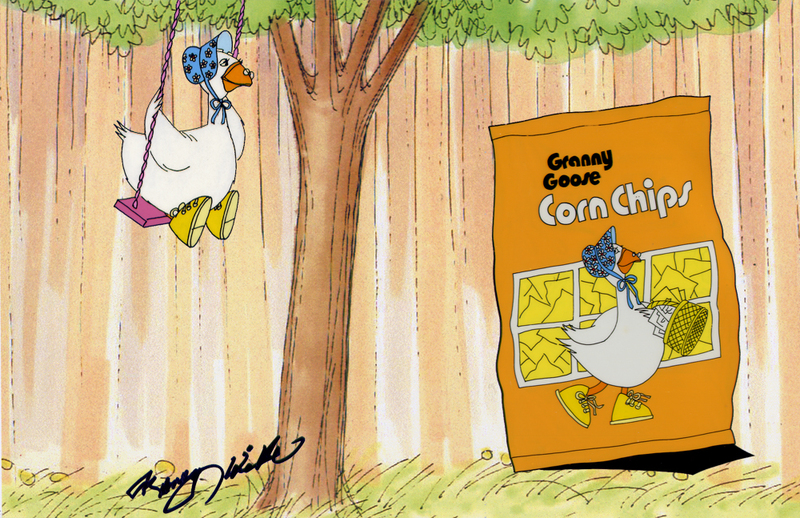 This is a TV Commercial animation cel that we found at Deep Archives that was available for $150. Perhaps the most famous flying spokes-creature of all Chips & Crisps companies is the wise old owl of Wise. 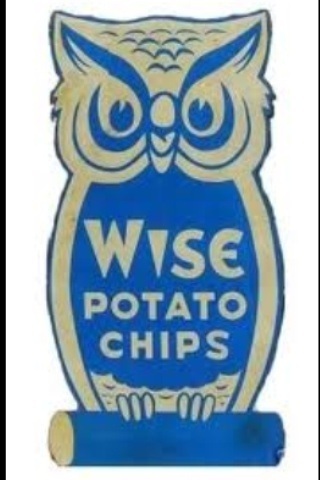 The Wise owl has appeared on everything from fridge magnets to recipe books. It has been an omnipresent part of the Wise branding since 1922. They must have paid a lot of money for their relatively recent logo change though, because it manages to capture the essence of the owl while modernising the brand. Great work. Bluebird Foods also have a flying spokes-creature, or rather, a non-flying spokes-creature. As far as birds go, you don't get more cuddly than a penguin. 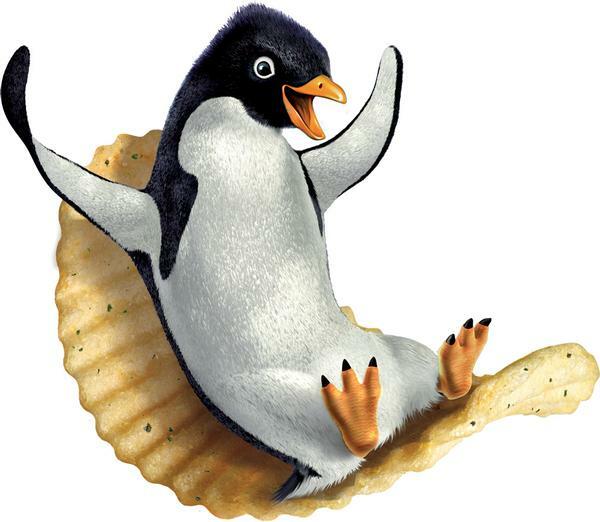 And just the same as Wise, this New Zealand based company puts their Mascot to great use - their website is even built around the Mascots habitat! 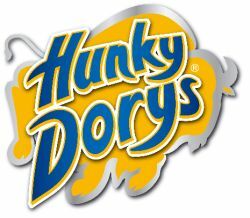 An animal that works as an influential part of a brand's positioning, but as yet is to appear as a mascot is the Hunky Dory buffalo, which was inspired by a nearby herd to their factory in County Meath, Ireland. The brand positioning is clearly doing well enough with its cutting edge advertising campaigns.